Dog behavior is an area of veterinary medicine which interests me greatly. I often participate in behavior seminars, as part of my continuing education, and see Ann Savoy in attendance. 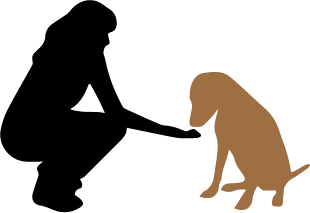 For many years my associates and I have been privileged to make use of Ann's expertise in the areas of dog training and behavior modification for problem patients. Ann is extremely knowledgeable and very competent in both of these important areas of pet care. Of particular importance to our patients is the fact that Ann is able to see a situation from the dog's point of view, and can articulate this to the pet owner in a clear and entertaining manner, so that the owner can understand how a problem behavior has evolved, and how adjustments in our own behaviors can modify our pet's behaviors in a positive manner. I feel great confidence when I recommend Ann's training classes for dogs to begin at an early age, in order to prevent problem behaviors from developing. Our pets are very fortunate to have such a resource available to them. We have known Ann Savoy for the past 20 years. In addition to boarding many of our dogs with her over the past two decades, we have also used her skills in the training of our dogs, including poorly-behaved Labradors who come home transformed. Without any hesitation we would highly recommend her both for the training of dogs and for the boarding of dogs. Dogs boarded with Ann probably receive better care when boarded with her than in many homes. Many years of dog ownerships and the use of many other dog kennels has made it abundantly clear that the care which dogs receive at Ann's is unparalleled. Ann understands canine psychology and seems able to read the mind of any dog. We have had several highly intelligent complex dogs (not Labs!) who needed help with their behaviour and Ann was able to help us understand them and to train them - so they became beautiful and much-loved pets. Current and Previous Owners of 4 Labs, 2 Kuvasz, 1 English Pointer, 1 Dalmation and 1 Cross-Breed Heinz 57 Variety (who came with serious hang-ups and who Ann also helped). I can't say enough about your class - I have been telling absolutely everyone with a dog about it! And I know my uncle has been very pleased with Stanley's progress, too (he thought it was a joke at first when I suggested Brittany and Stanley come along!). Just the way it was presented and the explanations, I know that Darwin and I got so much from the class! He is so proud of himself when he does his little tricks and comes when I call him! We all remember our very best teachers. If my dogs could talk they would tell me Ann Savoy was their best teacher....ever...and I would tell them I agree wholeheartedly.